 THE ARCHBISHOP OF TUAM, MOST REVEREND MICHAEL NEARY, HAS MADE THE FOLLOWING DIOCESAN CHANGES. THE CHANGES TAKE EFFECT ON FRIDAY, 20th JULY, 2012. Rev. Patrick Burke, Hospital Chaplain, Castlebar to be Curate in Knock. Rev. Eugene O’Boyle, Newly Ordained to be Hospital Chaplain, Castlebar.